What is the use of a flash diffuser? And how can I make one. A flash diffuser, as it describes, defuses the light. In other words it softens the light that is sent from your flash to your subject. This is going to sound odd but, one thing that I used for many years when I first started using flash in my photography, was to cover the flash with a piece of tissue held on with an elastic band. 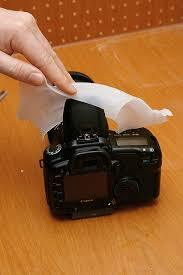 You can also use a piece of white copy paper cut to size and taped over the pop up flash. Another option I learned about making a flash diffuser was to cut a piece of plastic from a plastic milk jug and form it around to flash. Both of these DIY diffusers can be used with either the on camera or off camera flashes. This will soften the light on your subjects. Another option is that you can make what is called a soft box. This is a box that can be custom made to fit your off camera, also called hot-shoe camera flash. Cut out pieces of cardboard, as the shape shows. Lining the inside with foil and then taping them together at the edges and covering the front with a piece of white shopping bag or if you have, a piece of white material. This will spread and soften the light that the flash sends out onto your subjects. A few variations of DIY light deflectors that can be helpful. Pick up yourself an ordinary piece of white poster paper. This can be used in natural light to fill light where needed. Have your helper move around your subject and change the angle of the posterboard, or you can also use any white board. A more compact light reflector can be as simple as a piece of white cloth, a piece of bedsheet can work. Your helper can place their feet on the bottom and hold it up at an angle to reflect extra light where needed to fill any shadows. These ideas will help you get different results on a budget and even just to see how using different items to reflect of diffuse light, can change the feel of your image. 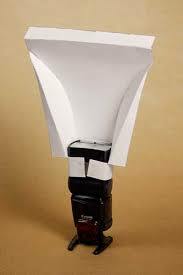 Another way to reflect light from you on camera flash is to cut a piece of poster board or any other light cardboard in the shape of a fan and tape it or elastic it to the on camera flash. Get creative and have some fun. has given your daughter some new and helpful ideas. Feel free to leave me comments on any questions she may have that I can help with. Interesting read and will come in handy to help with some of the amature shots I take for my blog. Hi yes just using a few different things to reflect light can improve your images even with the most basic of cameras. If I can help with any questions or queries please let me know. Thanks for checking out my page. My wife just purchased a DSLR and she is into it big time. It’s all new to her and she is just learning the basics. I’m going to forward this to her. She loves taking pictures of food, but with her flash on the pictures just look like snap shots. I think this will help her achieve the look she wants in her pictures. Thanks for the post, very helpful information. 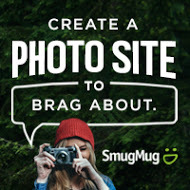 If you wife has any questions or anything she needs help with please have her contact me and I would be happy to help her to improve her images. Thanks for dropping by my site and let me know if there is anything else I can help with. drop me a comment and I would be happy to help.